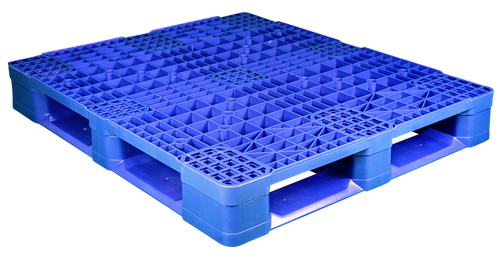 One Way Solutions offers FDA approved plastic pallets approved for the storage of food, beverages, and pharmaceuticals. Failure to comply with FDA regulations can result in hefty fines and major headaches, not to mention certain health risks. One Way Solutions aims to make keeping up with regulations easy and affordable, offering FDA approved pallets in both stackable and rackable models. For added safety, we also carry fire retardant pallets that meet FDA requirements. While Blue FDA Pallets are the most popular, we offer other colors: Black, Green, Yellow, Grey, Red, and even Bege. If you have needs for any custom or specialty models, One Way Solutions is here to help. Browse our selection or contact us for more information, including info on custom pallet molds.